HMRC takes a great pride in its 80% success rate in tax avoidance cases before the tribunals and courts. Here, HMRC's general counsel and solicitor Gill Aitken talks about HMRC's approach to tax litigation in an exclusive Q&A with Tax Journal. 1. What is the primary aim of the Office of the General Counsel and Solicitor, and how do you measure the success of your stated aims? First, I must say it's a privilege to lead HMRC's Office of the General Counsel and Solicitor. I'm responsible for all the legal advice in the department; not only litigation – which is perhaps the most visible part of what we do – but also legislation. We draft secondary legislation and advise on the design and drafting of primary legislation. We also advise on operational matters and on big commercial contracts. We measure our success in all sorts of ways, including a customer satisfaction survey which, I'm pleased to say, shows that our clients in HMRC like what we do. We also have a range of statistical goals and key performance indicators. I'm particularly proud of some of the wins we've had in the last year. The Icebreaker film scheme was a long journey but a big success. We've also had great successes with Next, P&O and Pendragon. In fact, we seem to get a stonking great win every week. And it's not just cases where we bring in millions in tax that would otherwise be lost, or cases that generate interest because they involve celebrities and film schemes. Some of our biggest cases have been related to human rights issues and the law of restitution, so we're pushing at the boundaries of the common law beyond the tax arena. Our legislation is innovative too. We are creating tools which test the purpose of transactions alongside compliance with the letter of tax law, which enable us to collect tax where profits are diverted to other jurisdictions; and which ensure that scheme members pay early while a scheme is tested in the courts. 2. 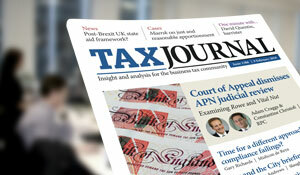 What is your general approach to tax litigation? We go about litigation in the same way as private firms. We are Lexcel accredited, which is the Law Society's professional practice standard for litigation. Our teams are made up of a mix of Government Legal Service lawyers, paralegals and case workers, and we take pride in offering excellent value for money alongside strong performance. Our clients are from all parts of HMRC. We get involved before cases become litigious and conduct the cases through tax tribunals and up as far as the Supreme Court and the CJEU. The most complex, high value cases – about 20% of HMRC's litigation – are carried out by legal teams reporting directly to me. We also have a large number of appeals units up and down the country dealing with simpler cases. We all operate to what we call the LSS – the litigation and settlement strategy (LSS). 3. There is still much litigation awaiting resolution through settlement or by the tribunals and courts. 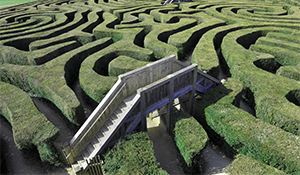 What plans does the Office have in place for tackling the backlog? Has the option of outsourcing to the private sector ever been mooted as a viable solution? I think the numbers are quite misleading. Only about a third of the cases in which there are appeals in the tribunals will actually go on to be actively litigated. The remaining two-thirds are followers – cases that are waiting on decisions in the other lead cases to determine what happens to them. This may give the appearance of a backlog, but it is actually sensible case management. In order to make the most effective use of resources, we work closely with the tribunal service to prioritise those appeals that are likely to have the widest impact in precedent terms. We have done some outsourcing in the past with some specialist work. But generally whenever we've tried outsourcing tax litigation work, it's not proved cost effective. We really do offer the best value for the taxpayer when we do this type of work in house. We have excellent lawyers and support teams, who are experts in their fields and provide an excellent service. We win about 80% of our cases, so the results speak for themselves. 4. In a recent survey of 75 tax directors, conducted by Tax Journal, 64% believed that HMRC's LSS 'worked well, on the whole', while 32% expressed the contrary view. Do you think that's a fair reflection of the current state of play? I'm certainly pleased that two-thirds do think that the LSS is working well. I think it's rather better than that myself. The LSS isn't just concerned with decisions to litigate, or decisions taken when a settlement is proposed. The LSS covers the whole life of a dispute, from deciding at the outset which risks to take, right up to the final decision. It's certainly made HMRC focus on which cases to take on and which points of those cases to take up. It's as much about the materiality of the points as it is about the prospects of success. It reflects the good case working processes and skills that we use to investigate a risk to its conclusion, and it's very much based on the notion of collaboration between HMRC and the taxpayer. The aim is to come up with solutions, so that both sides can agree on what is the right tax. Obviously, if we can't agree and HMRC believes this is a case we should litigate, we proceed on that basis. 5. One of the key features of LSS is that HMRC will refuse to settle disputes with taxpayers where HMRC has received legal advice to the effect that it will win the case in question. This clearly gives the Office considerable responsibility. Can you tell us about the decision making framework when advising on such cases? I certainly do feel the weight of the responsibility and the importance of being able to give good, robust, accurate legal advice on the merit of cases. But it's certainly not the case that I decide whether or not to litigate. Long gone are the days when lawyers had that power. The LSS says that HMRC won't settle for less than we believe could be achieved through litigation, which is different from saying that the advice must be that we will win. We do have a detailed and thorough tax assurance and tax governance framework, which comes under our tax assurance commissioner, Edward Troup. There's a range of governance boards, from our contentious issues panels going all the way to what we call TDRB – our Tax Dispute Resolution Board. Decisions are made there on the most complex cases and some go on up to the commissioners themselves. So lawyers' advice is extremely influential and relevant, but lots of factors are taken into account; not just the merits of the case from a legal perspective, but also the importance of the case and the importance of the principle. We also want to demonstrate our interest in particular cases and in pushing the boundaries. 6. Alternative dispute resolution (ADR) was a big theme for HMRC under the coalition government in terms of resolving disputes. Is this still the case? If so, what role does the Office of the General Counsel and Solicitor have in terms of selecting disputes for ADR? Does the Office believe that the process would be more effective if it was more involved? ADR is basically mediation between taxpayers and HMRC caseworkers, which either side can request. It's an option in some cases where everyone is stuck, the taxpayer has become entrenched and it's difficult to move forward. If we think a case is suitable for ADR, this usually means a mediator will support HMRC and the taxpayer to see if they can settle the dispute by agreement. We have never thought ADR would be suitable for the majority of cases that look like ending up in dispute. It's important to remember we issue millions of tax decisions every year, and very few go into dispute. Of those that do, not many are suitable for ADR. The LSS is designed to ensure that we can work together with the taxpayer to come up with a sensible solution, and it's only in cases that get stuck that we start considering ADR. The ADR panel meets regularly, and one of my senior lawyers is always part of it. Our lawyers' advice forms part of the matrix of information that's used in deciding how to proceed. Lawyers may well form part of the HMRC team, alongside tax specialists, discussing a case in mediation to see if we can reach agreement under the LSS. Like so much of what we do, it is a collaborative effort. 7. Is the Office concerned about the impact of public spending on the courts and tribunals that handle tax appeals? As you'd expect, we work very closely with the Tribunals Service, which is itself transforming and improving, especially by introducing more digital services. They are recruiting additional judges to deal with increasing amounts of tax litigation. We work very closely with them and they are most supportive of us – as we are of them. 8. How does the Office of the General Counsel and Solicitor approach case selection when there are a number of taxpayers appealing in respect of substantially the same area of tax law? And what is the impact on cases concerning 'follower notices'? Again, the way we go about selecting cases is very much about teamwork. Obviously, one element of case selection is how strong the legal arguments are. So we look for lead cases where the issues are fairly clear and the legal arguments are strong, so there are likely to be findings that can be applied to other cases. We work with the tax specialists to help us arrive at the best solutions. We can sometimes get a lead case designated through the rule 18 procedure in the First-tier Tribunal, but some of the time we will find ourselves negotiating with agents representing some of the relevant taxpayers. Once we've selected a lead case, it's really important that any other case that needs to be bound by that decision also appeals. That's one of the reasons why there are more cases registered in the tribunals than will end up in litigation. It is a little early to assess the long term impact of the new measures introduced in the Finance Act 2014, but we are working closely with our tax colleagues to identify judicial rulings that are relevant to other tax arrangements, with a view to issuing follower notices in appropriate cases.